Previous PostOscar Da Grouch – Live @ BlastNext PostKniteforce Records Complete Discography – FREE! YES! been waiting for months for some new music from you. ….lost the tapes lost my mind …. athe song after house nation on fester’s side is the destroyer by tune request. Thanks Ramon. I played the title track off of that record so much I completely forgot that the B side was better! Thanks for the mixes.. I’ve got a box of 30 old school 1991-1995 la scene mixtapes. (ron d core, aldo, Eli star and more. If you’re interested in posting give me a shout and I’ll convert them. heep come alive!! !once again!! much love. Nice post! 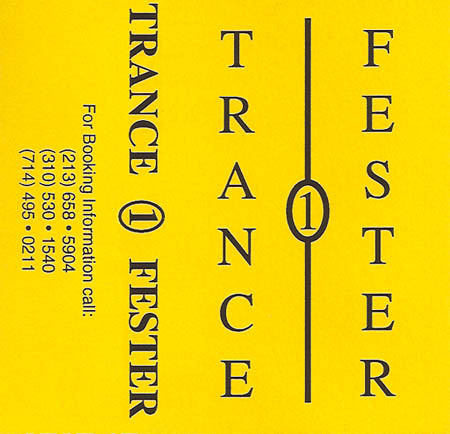 I am pretty sure I have this Fester/Tracne tape as well. I remember What! and D.A.R.E. and No Doz at the Coconut Tease back in the day. My boy Rick and Mike would dj at D.A.R.E. I remember many a night there…Also, I am pretty sure I have the Barry Weaver mixed tape along with: Attack of the Killer Bees; Chris Flores and Barry Weaver, many Mr. Kool-Aid and Destructo tapes. I even have some Dom T., Joe Curl, Michael Cook, Mark Lewis, Eli Star. I even was down with Big Daddy Sean Perry and that funky disco stuff that he and Mike Messex used to throw down!! Will have to get with you to share/copy some these tapes. I’ve been waiting for this day for years! Thank you very much. The quality is pretty good considering it’s from tape, an old tape. This tape really put the hook in me… WHAT? was in full effect. Looking back, themz really were the dayz. How you have what looks like a pristine copy is no doubt commendable as mine got played ’til it broke like most everyone else’s. Word. Epic mix tape, one of my all time favorites! And props to these 2 dope DJs for helping the Splat mission along. Could anyone help on the the last track on Trance’s side. 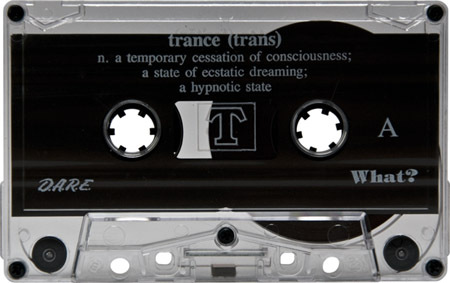 Onless it’s the B-side (that discogs has as “Untitled”), it does not sound like 3 youtube videos which all sound alike for “Dread – Quantum Leap.” It’s a slamin tune heard plenty of times, so I’d like to find out what it is.